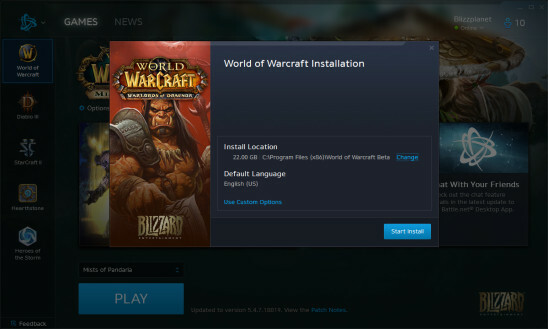 The World of Warcraft: Warlords of Draenor Alpha installer is a 24GB download. 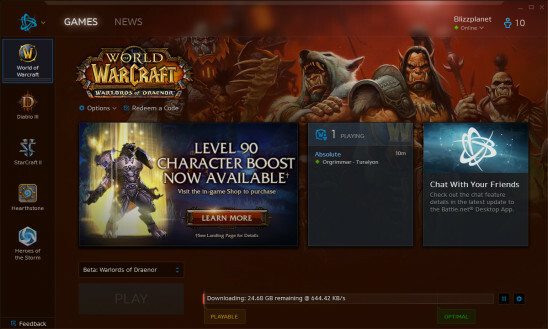 I’m currently downloading the client from my Battle.net account. I am still unsure if my account has access to play the game or if servers are active. I’ll find out in several hours once the download has finished. Update: I was able to launch the game, and login. However, the servers are listed as red, which means my account hasn’t been flagged. Upon investigation, other community members informed me this is a employees and Friends & Family alpha testing phase. External invitees such as fansites and influencers will get an invite in a future phase.